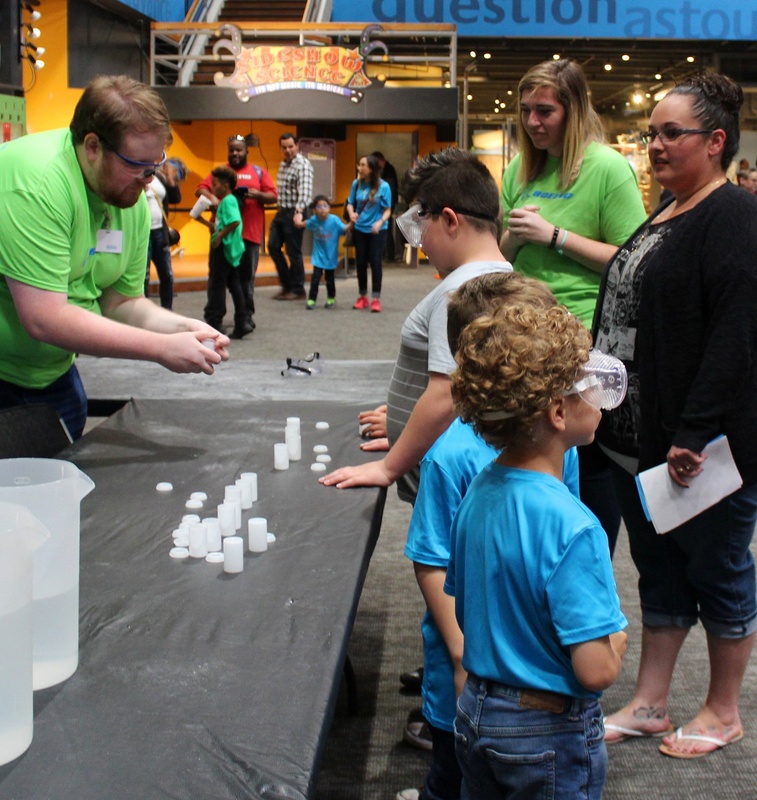 Volunteers from Boeing in Oklahoma City help students with Reaction Rockets during Science Museum Oklahoma’s Space Day on May 5, 2017. The annual event was presented by Boeing and welcomed more than 1,900 students from 28 schools. Sponsored by Boeing, the day of events is designed to increase students’ understanding and appreciation of science, technology, engineering and math (STEM) at a time when classroom budgets continue to shrink and school districts increasingly move to 4-day weeks. “Space Day activities give us a chance to talk about and truly get hands-on with physics, chemistry and engineering in exciting ways,” said Clint Stone, director of education and training at SMO. Across the museum, students built rockets propelled by chemical reactions, worked in teams in a race to identify planets and their moons, experienced the difficulties astronauts face while working in space suits, designed parachutes and safety systems for egg drops, had the opportunity to touch an actual space shuttle tile, and more. Activities were facilitated by SMO museum educators and volunteers from Boeing, Chesapeake Energy, Microsoft, OG&E, SandRidge Energy and students from the University of Oklahoma School of Aerospace and Mechanical Engineering. “With a century of innovation under our belt, Boeing understands the importance of inspiring and preparing the next generation of visionaries,” said Jenny Hatton, Boeing community investor. For more information about Space Day at Science Museum Oklahoma, visit www.sciencemuseumok.org/space-day.